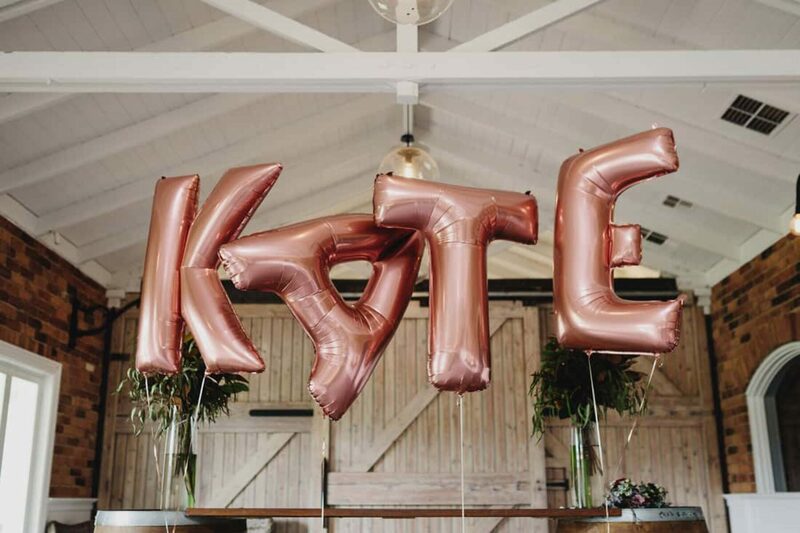 If asked about her one true love, Kate might tell you it’s her husband-to-be, but her bridesmaids know the real answer is, in fact, food. 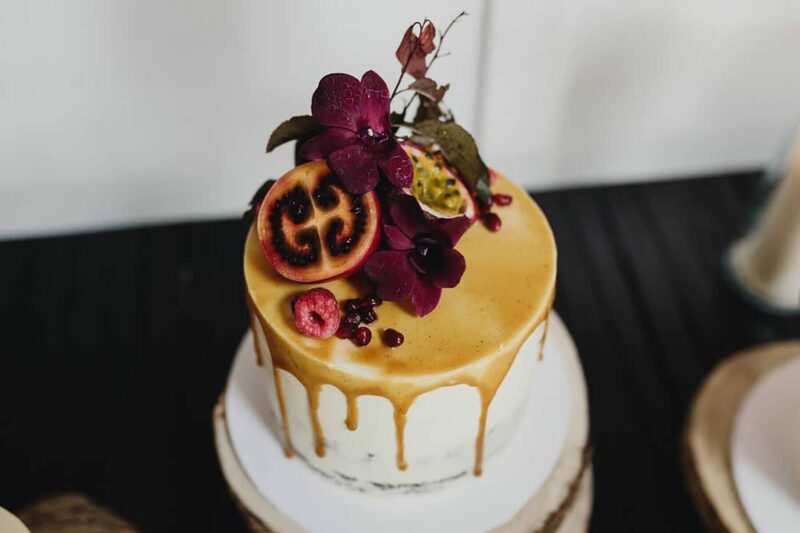 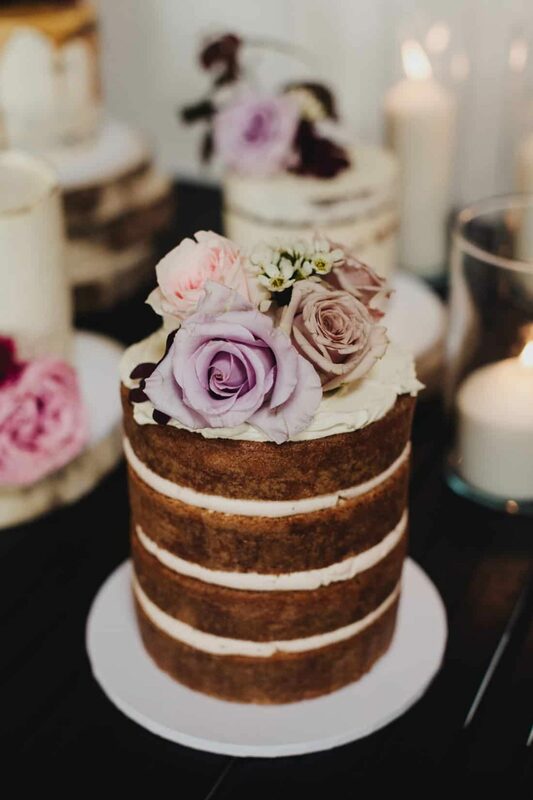 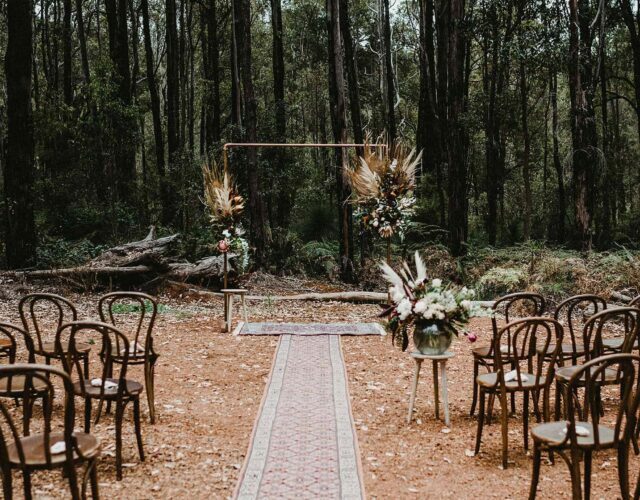 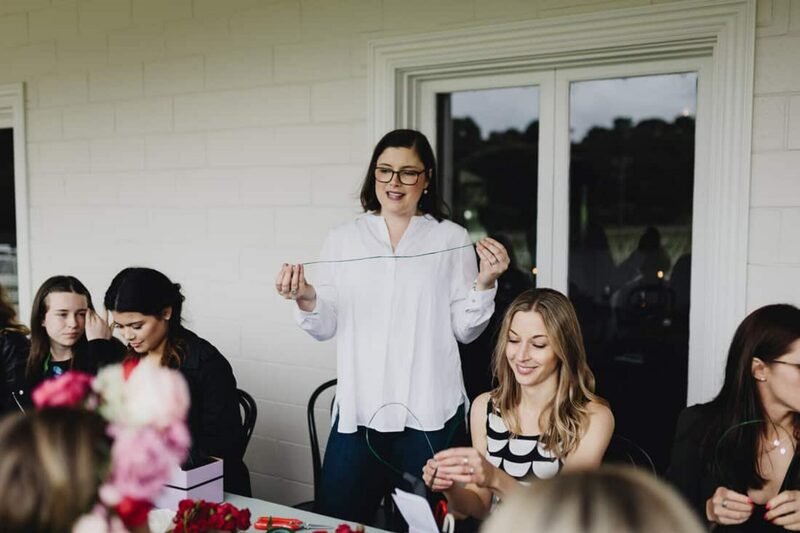 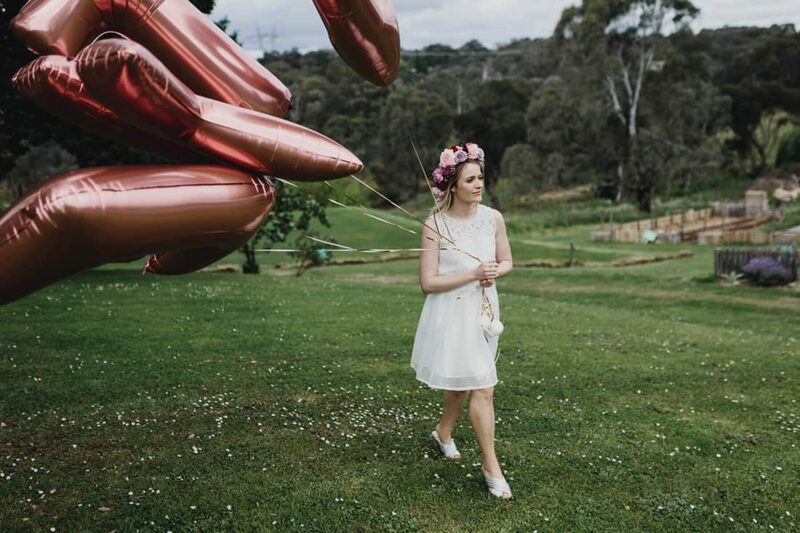 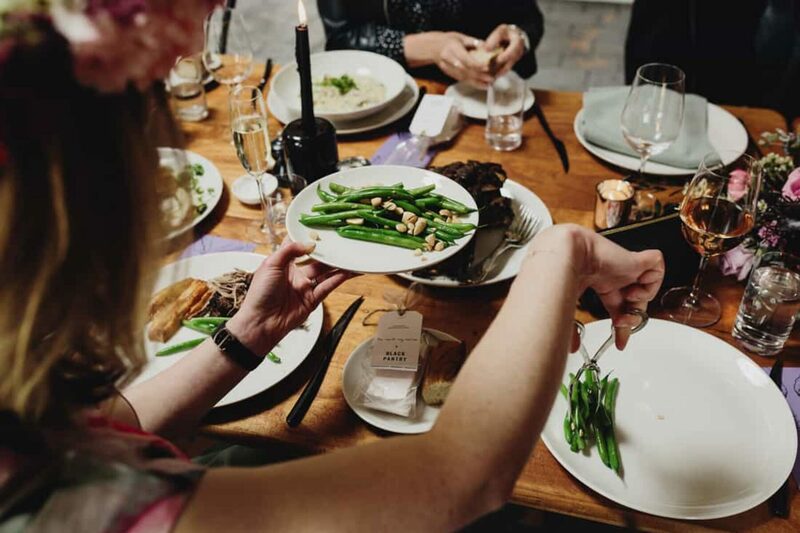 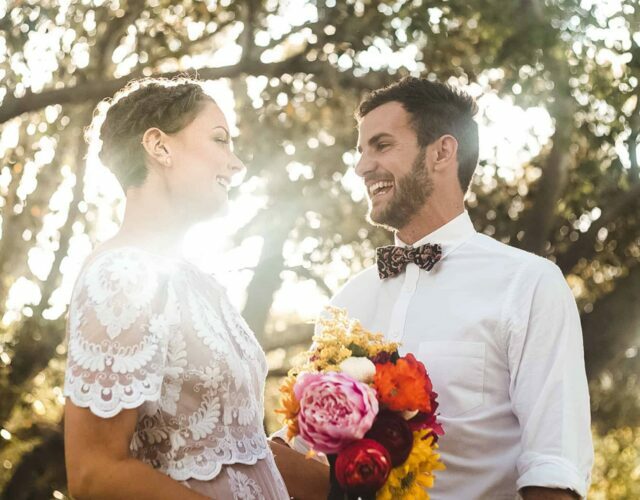 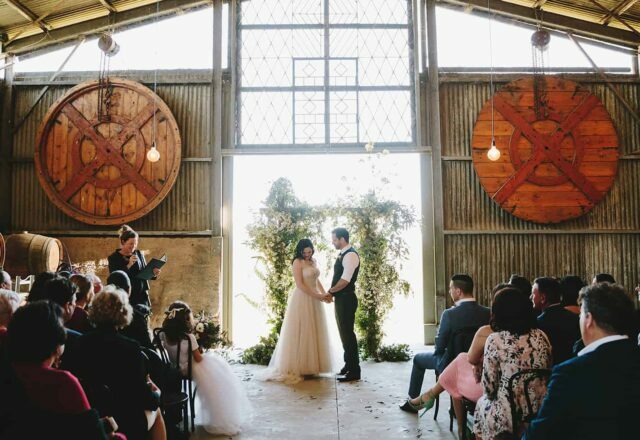 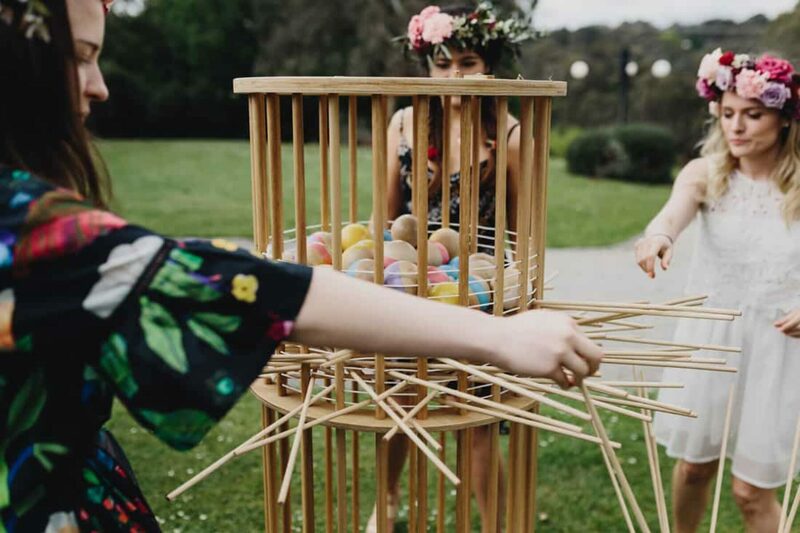 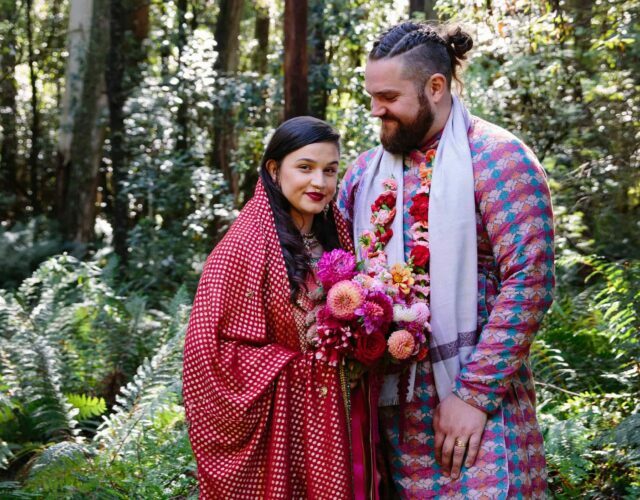 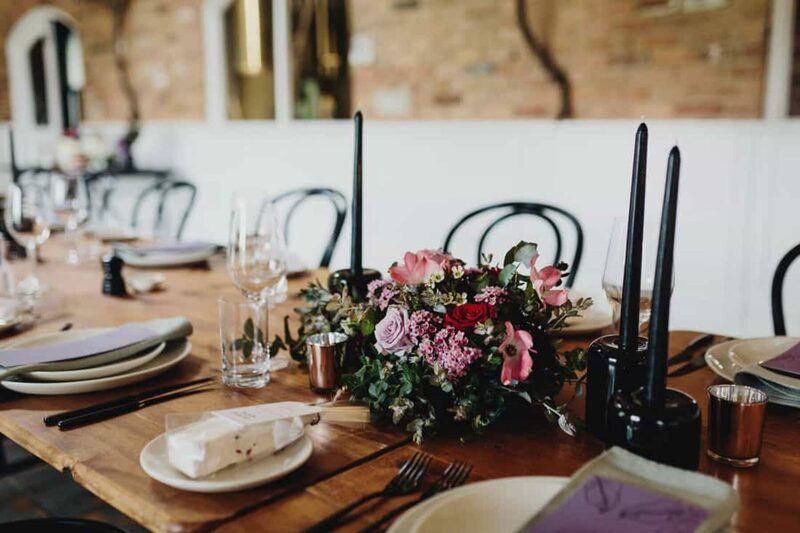 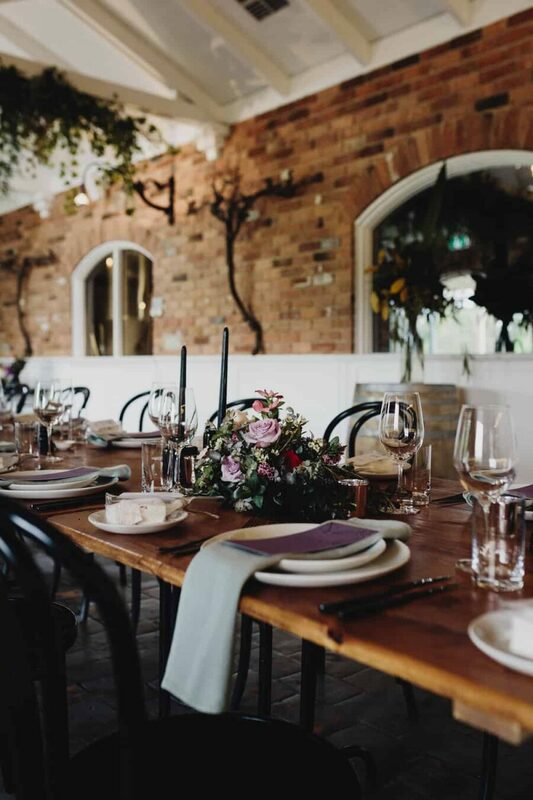 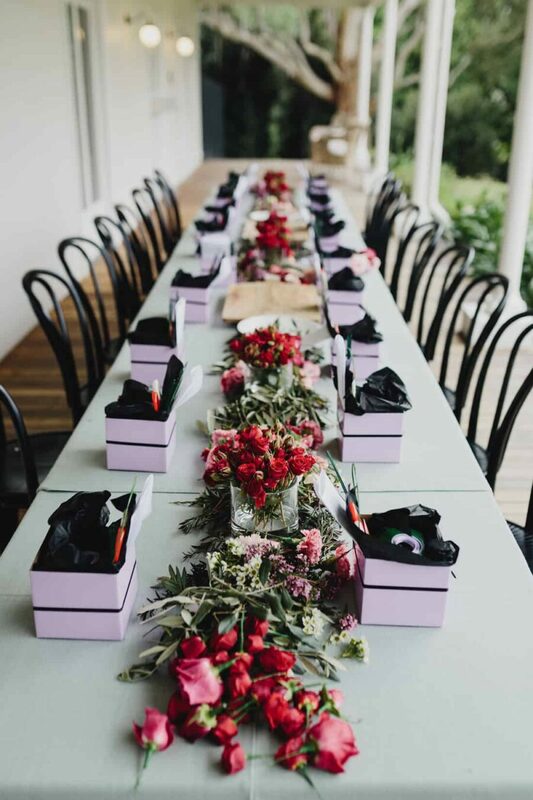 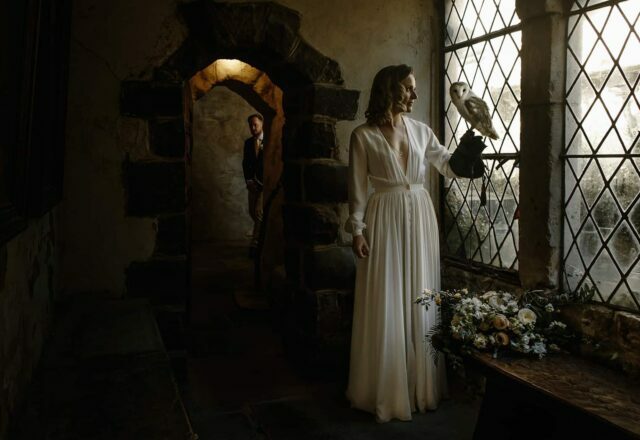 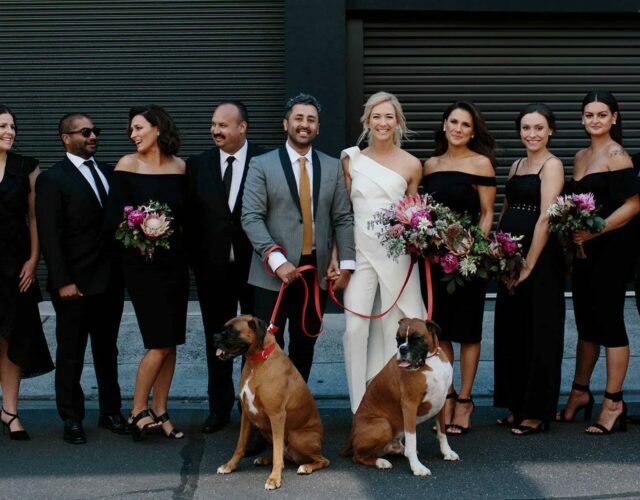 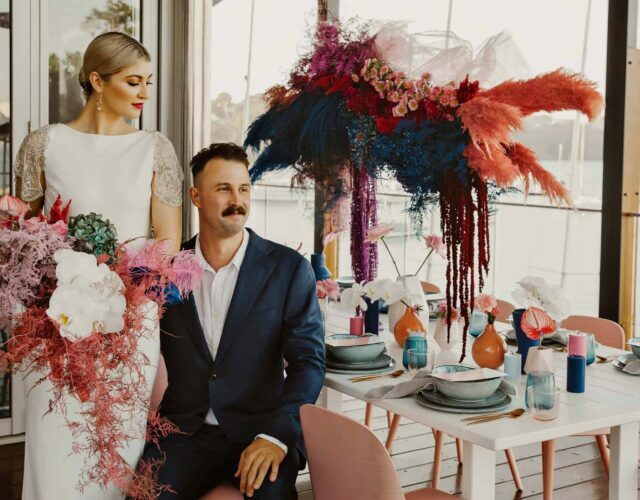 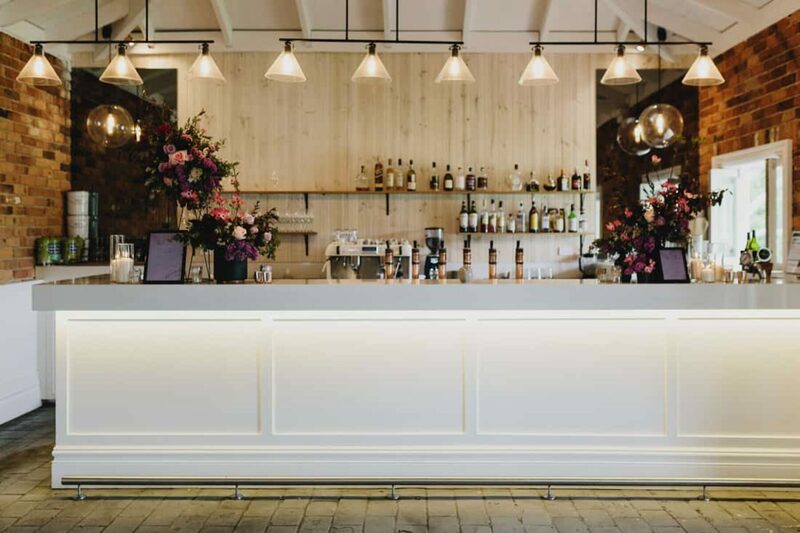 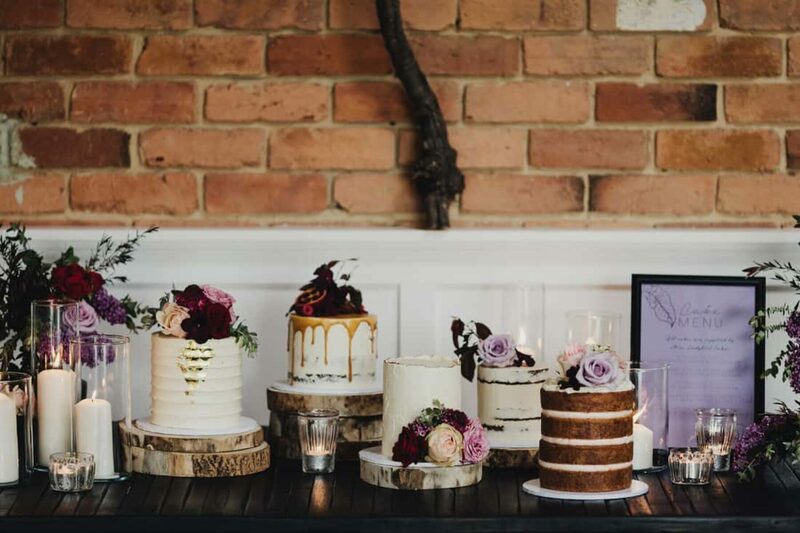 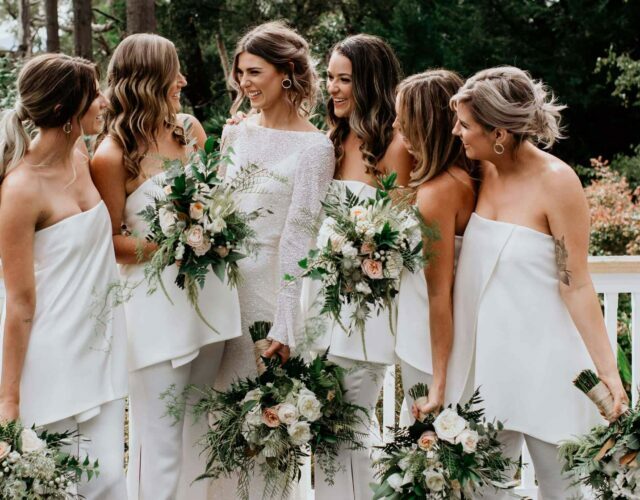 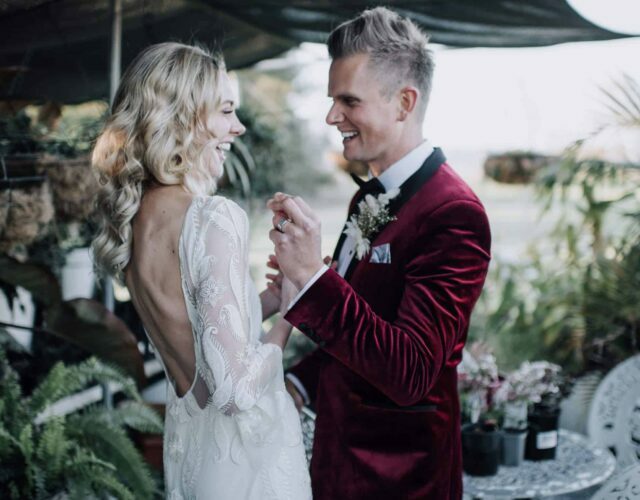 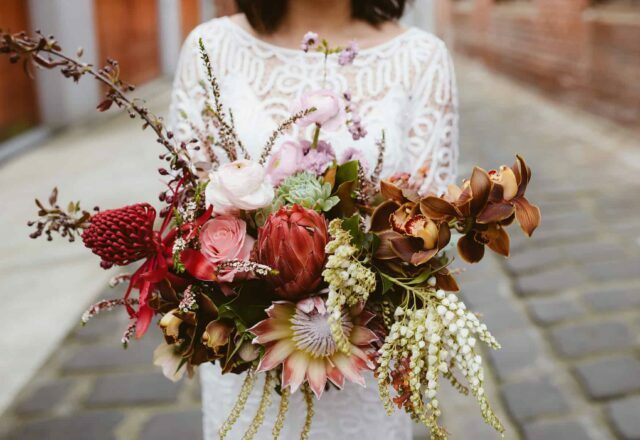 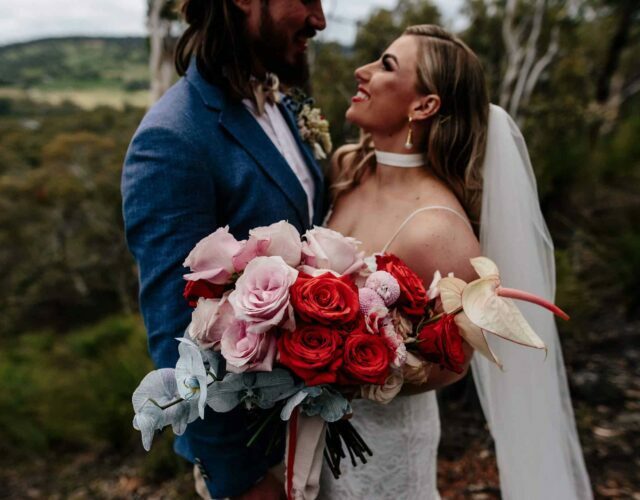 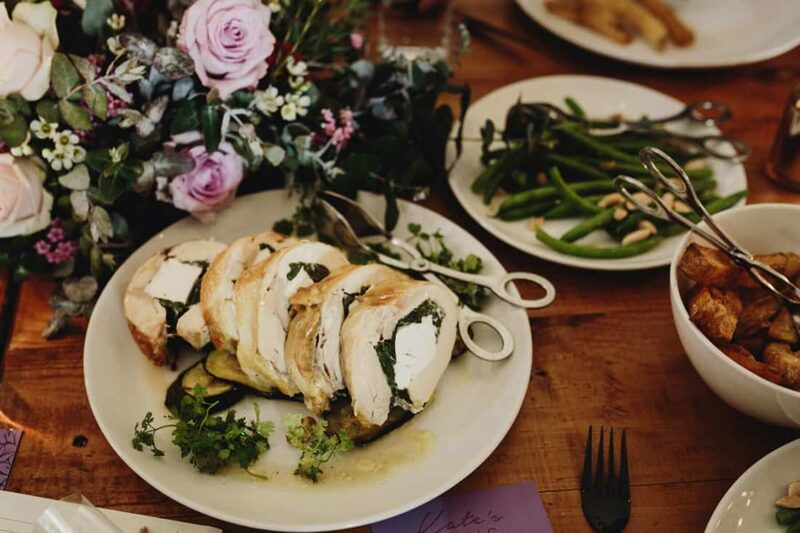 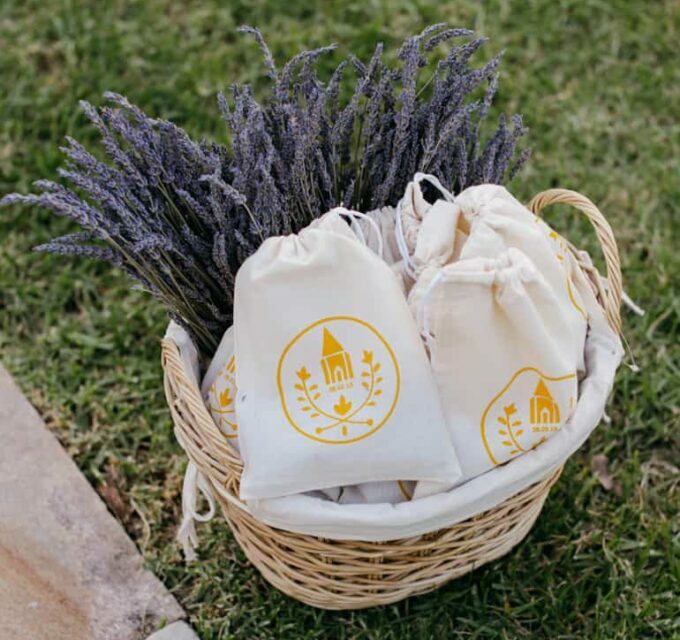 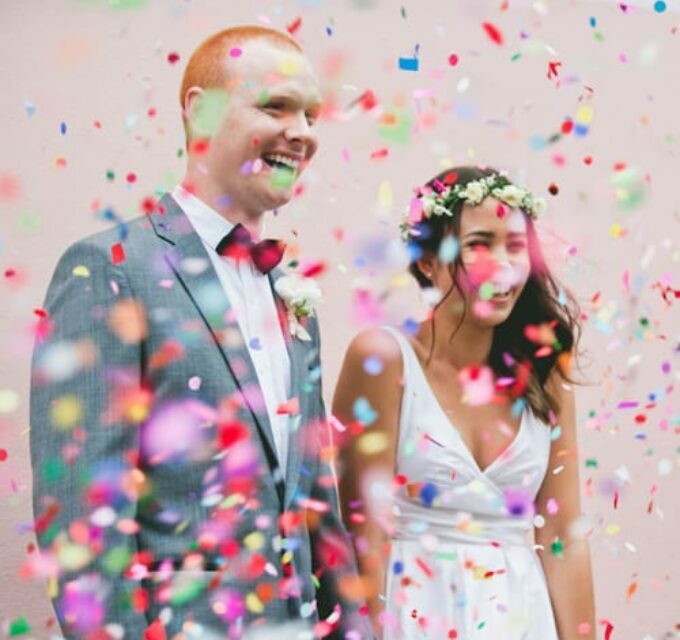 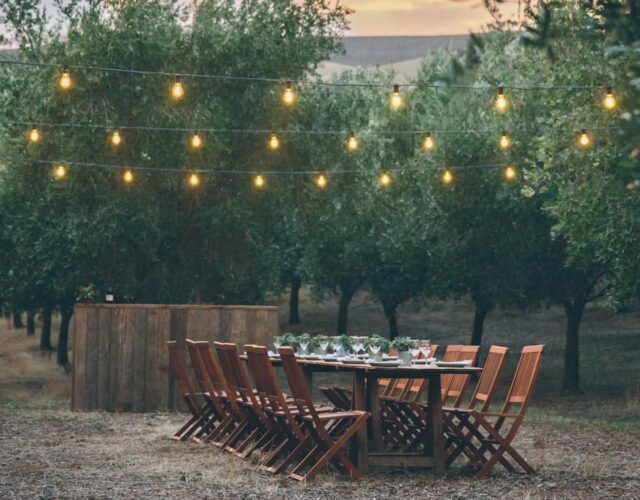 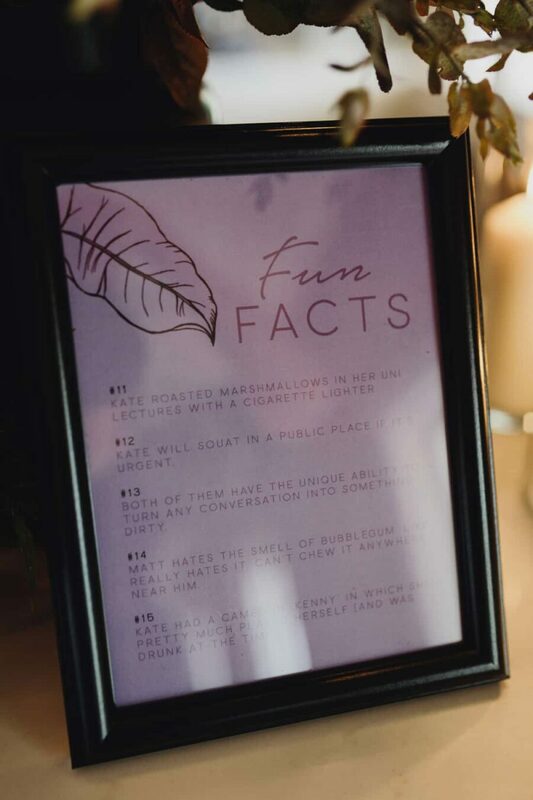 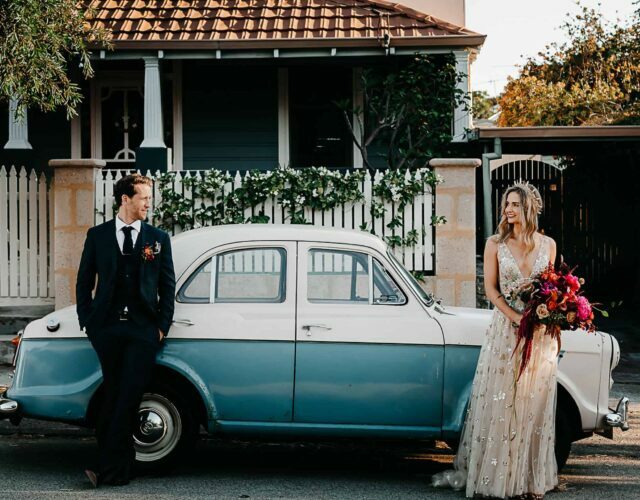 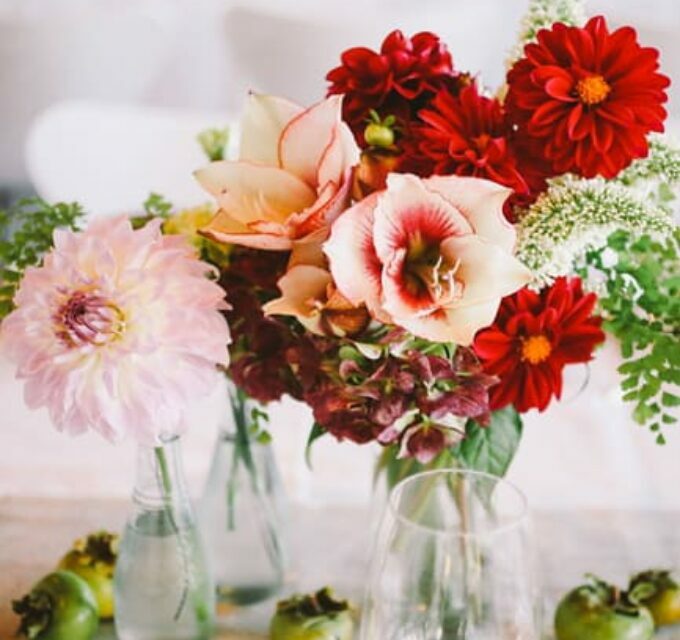 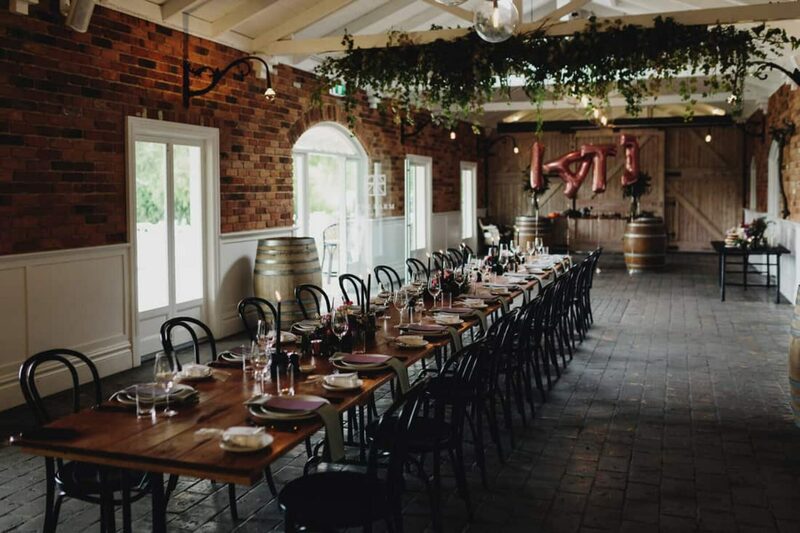 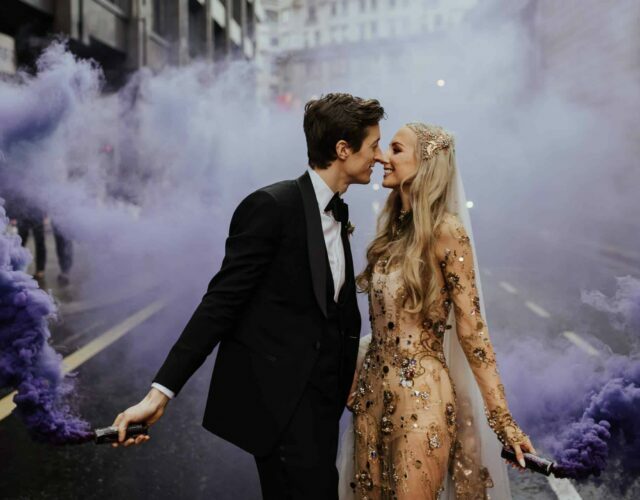 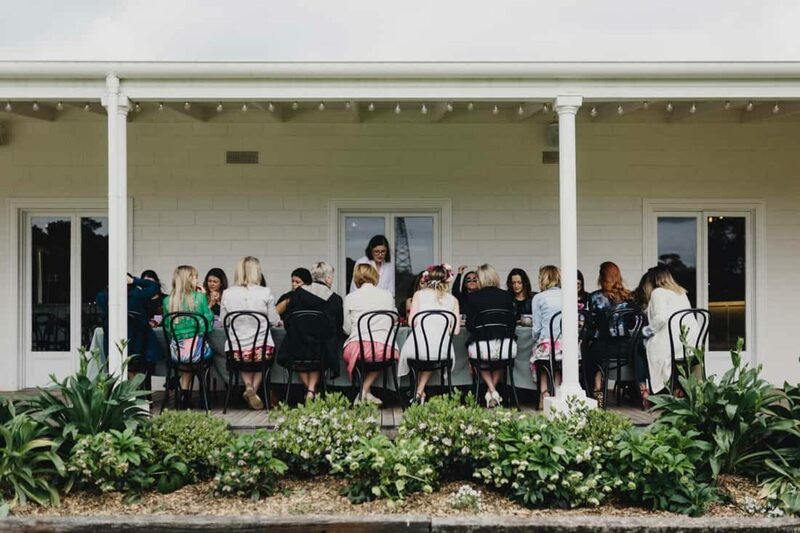 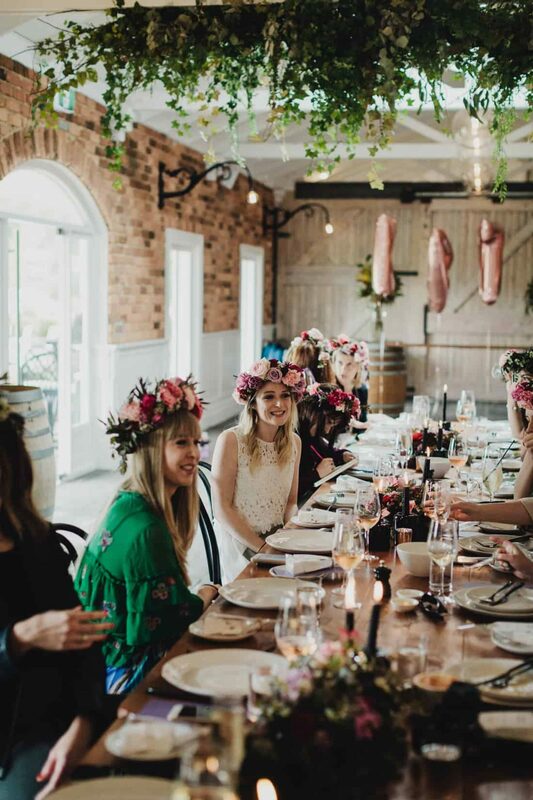 With that in mind, they planned the ultimate foodie affair with a luxe hens day at The Farm Yarra Valley, captured by Long Way Home Photography. 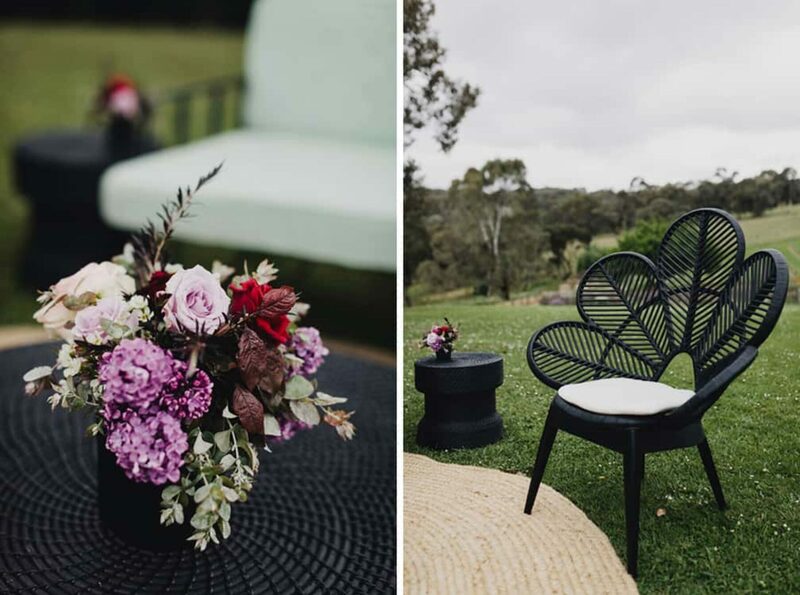 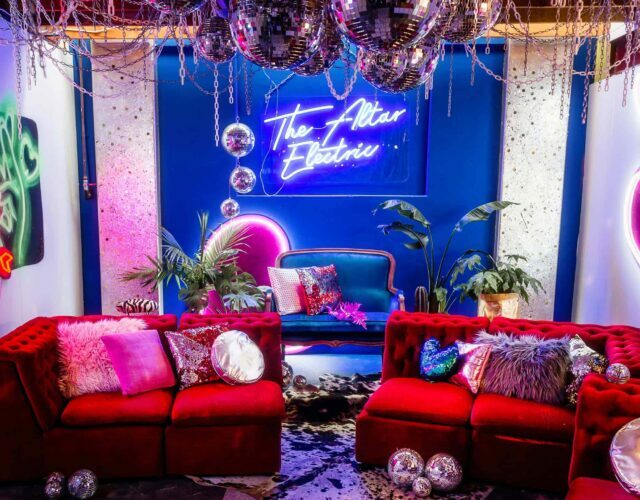 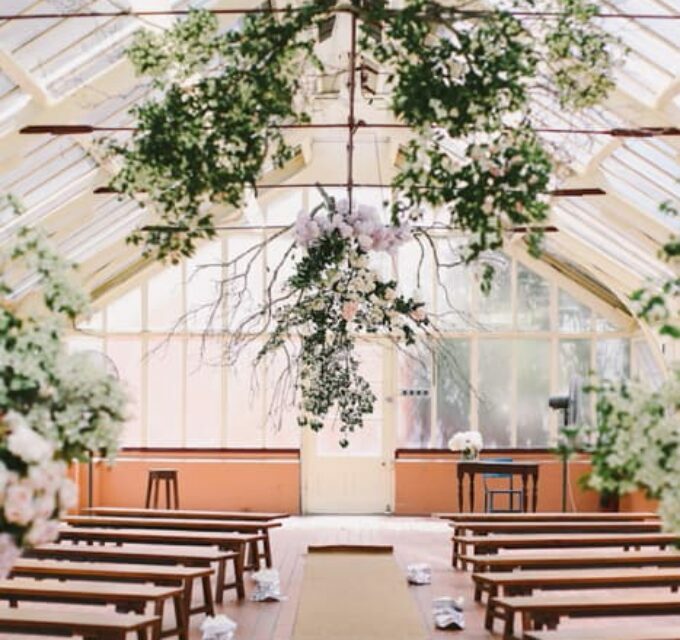 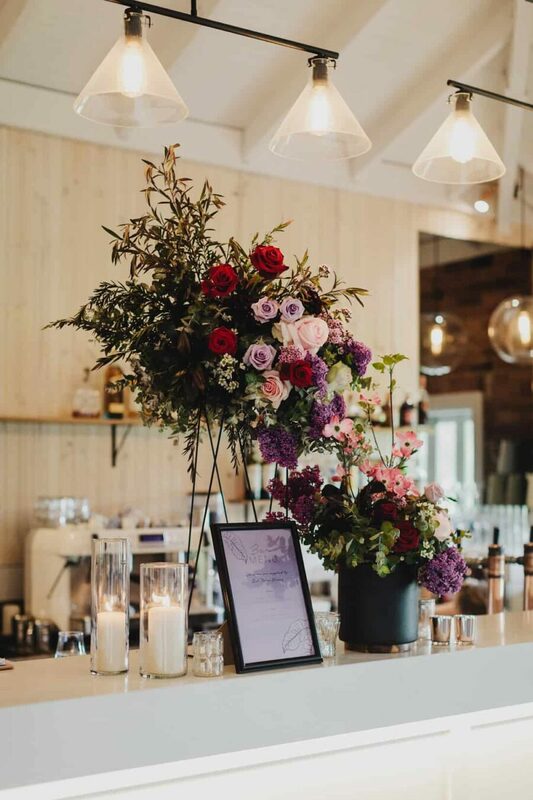 Floral gurus I Heart Flowers styled the elegant do in a modern black and lilac palette, with abundant blooms, giant Moonshot Balloons and statement furniture from Dann Event Hire. 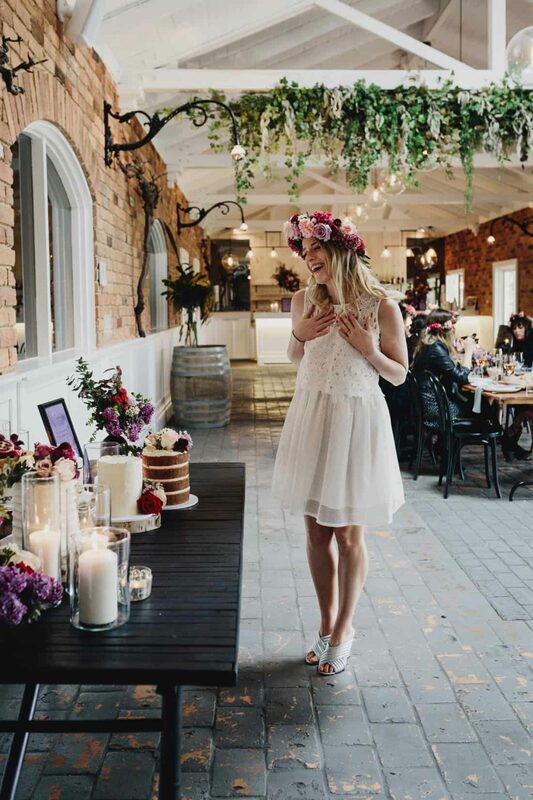 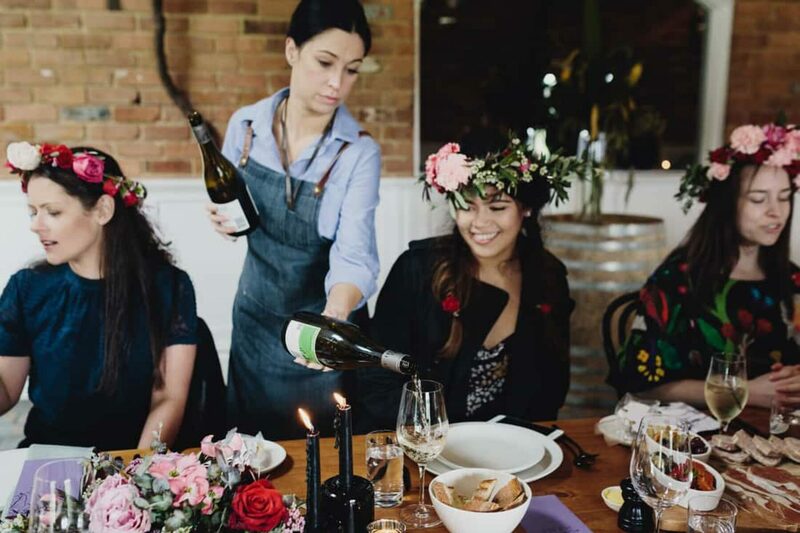 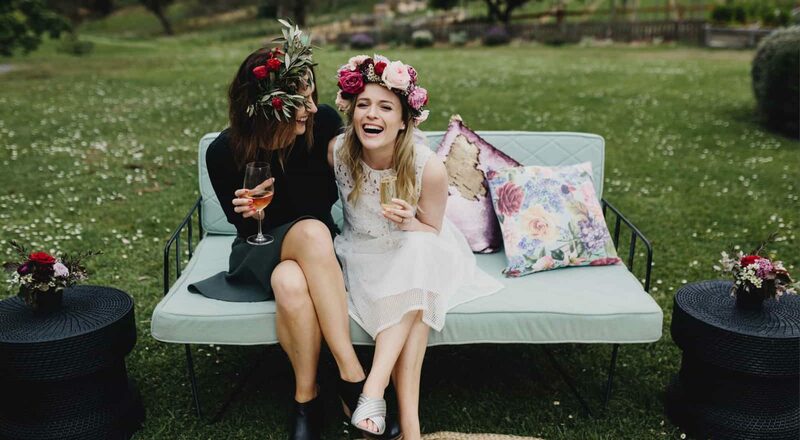 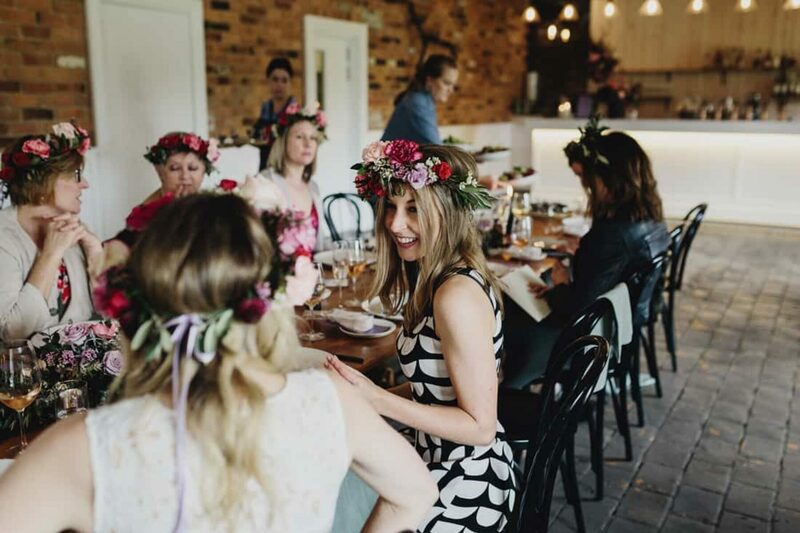 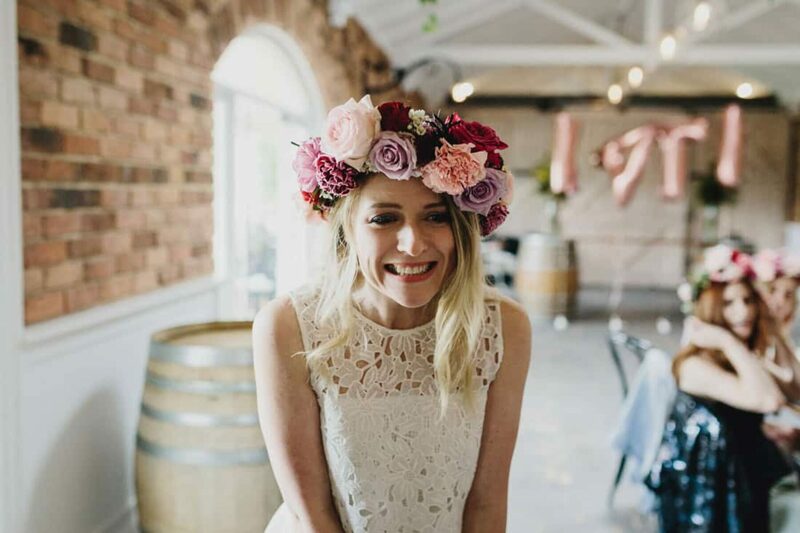 A flower crown workshop on the verandah kicked the day off, while the girls enjoyed wine and cheese platters from The Farm’s onsite producers. 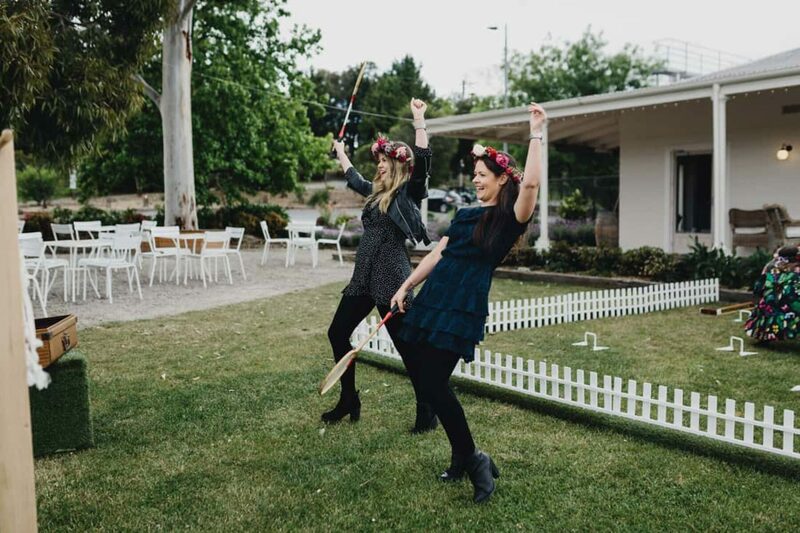 Handcrafted lawn games by Games on the Green not only looked the part but provided an opportunity to shave off a handful of calories in preparation for the feast to follow. 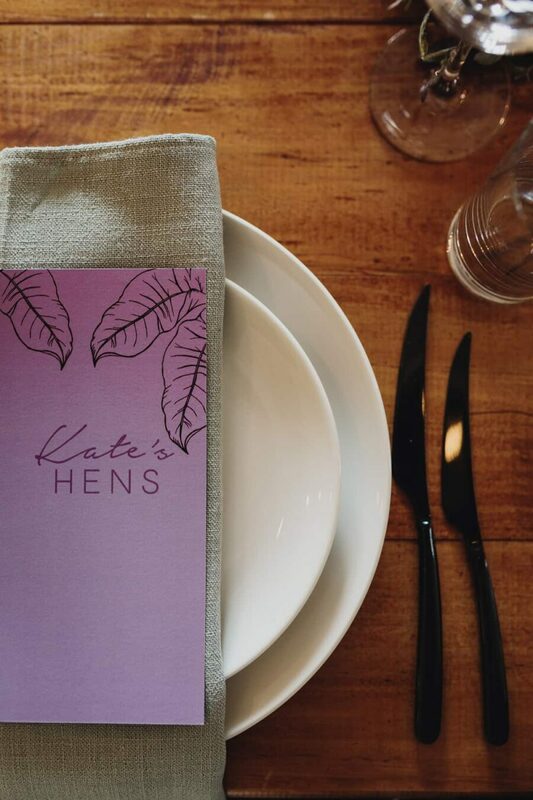 The day was all about the hen’s love of food and The Farm did not disappoint. 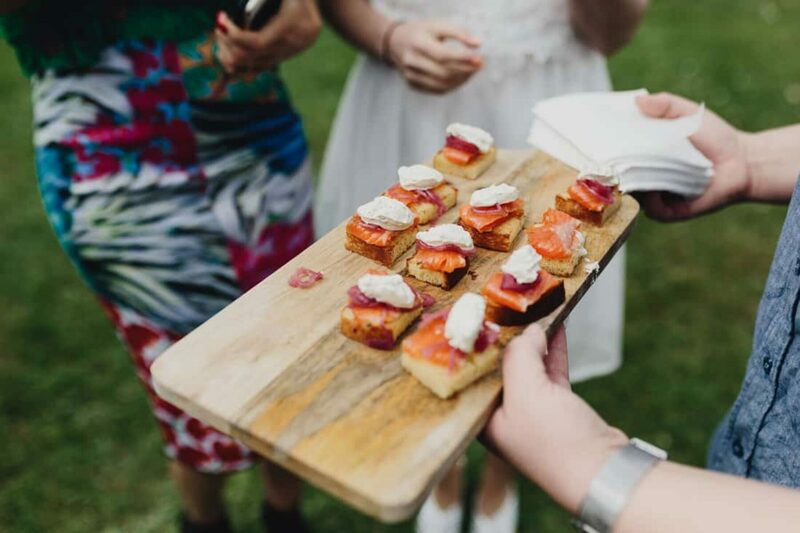 Canapés of goat cheese tortellini and cured trout brioche set the tone of things to come. 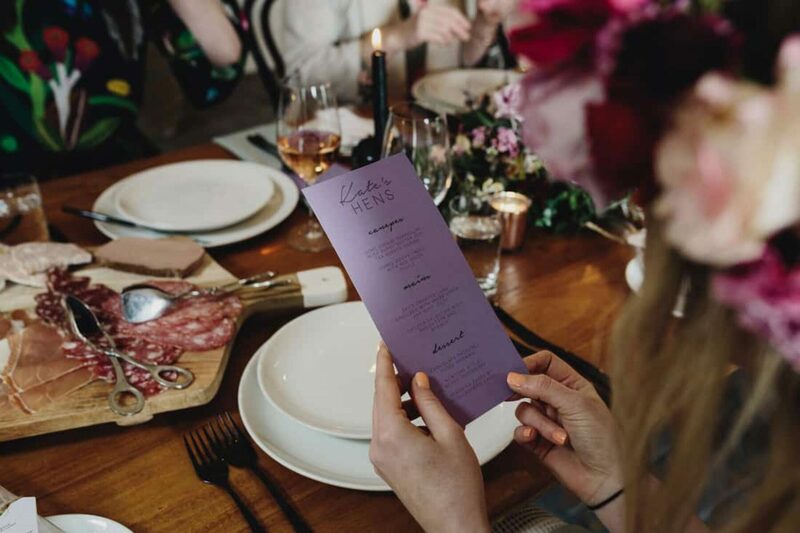 Once seated, the girls enjoyed generous antipasto platters followed by chicken and feta galantine and spice crusted lamb shoulder, accompanied by sides almost as delicious as the mains. 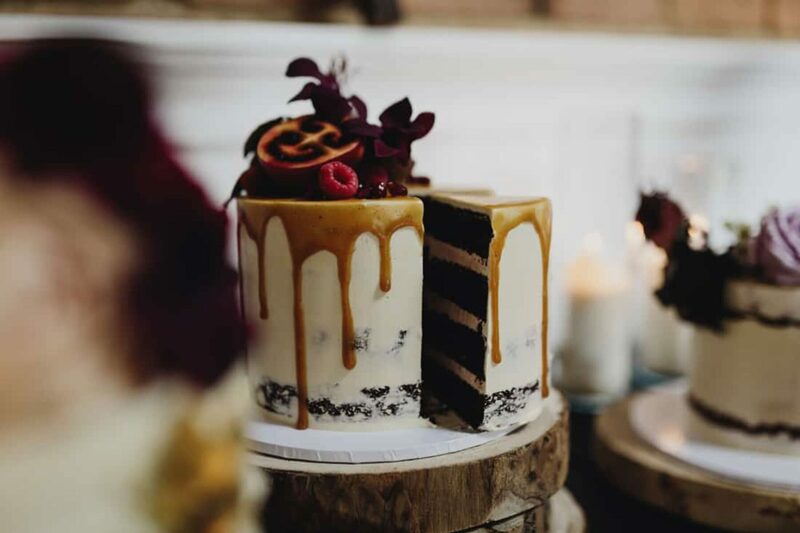 Miss Ladybird Cakes delivered the goods for the cake-obsessed hen, crafting five mini masterpieces that were as gorgeous to eat as they were to look at. 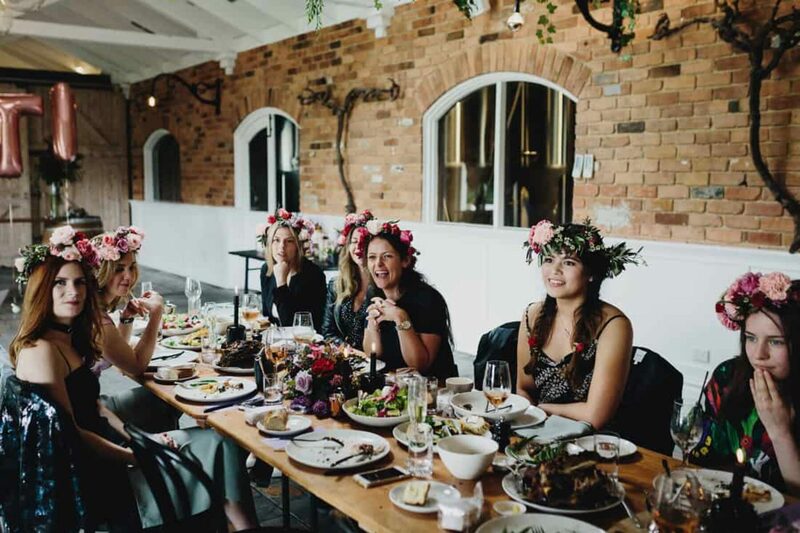 Despite their best efforts, Kate and co couldn’t get close to finishing all that cake, but the leftovers went down a treat later that night at the after party. 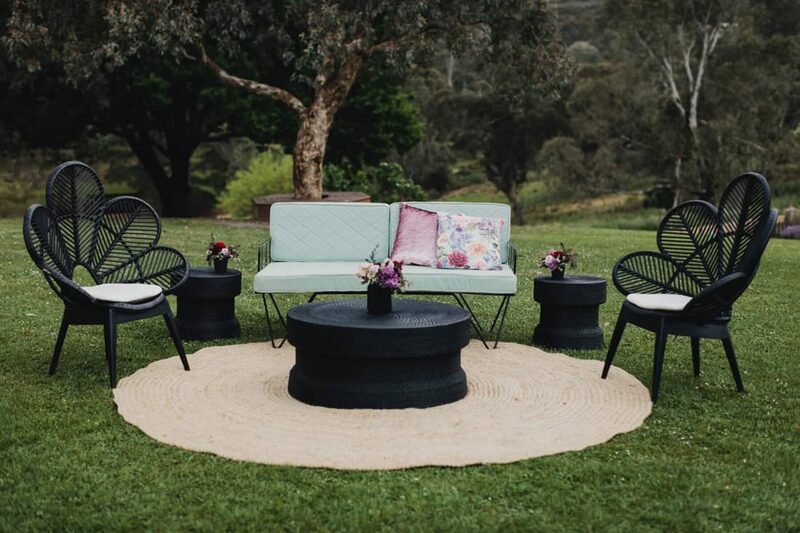 With statement flower armchairs from Dann Event Hire tying in with the modern floral theme, the lawn lounge area was the perfect spot to take in the view. 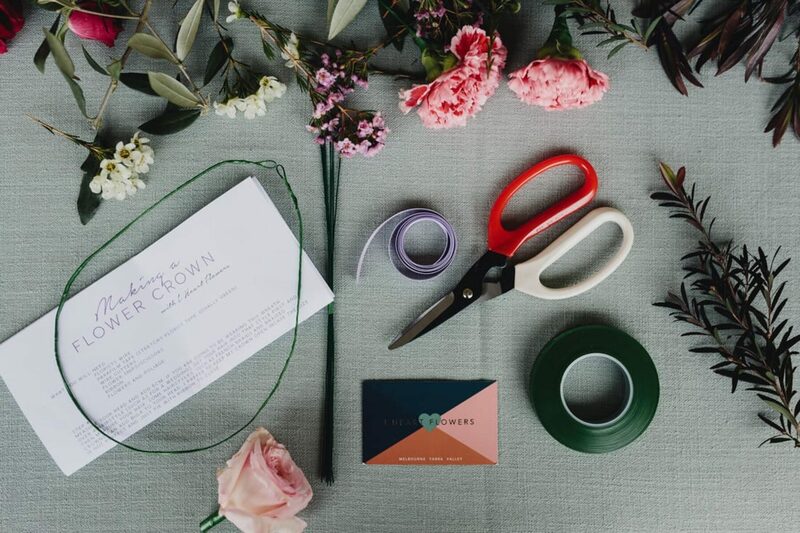 Complete with instructions and all the tools I Heart Flowers put together flower crown kits which guests could take home post-workshop for a little Spring Carnival DIY. 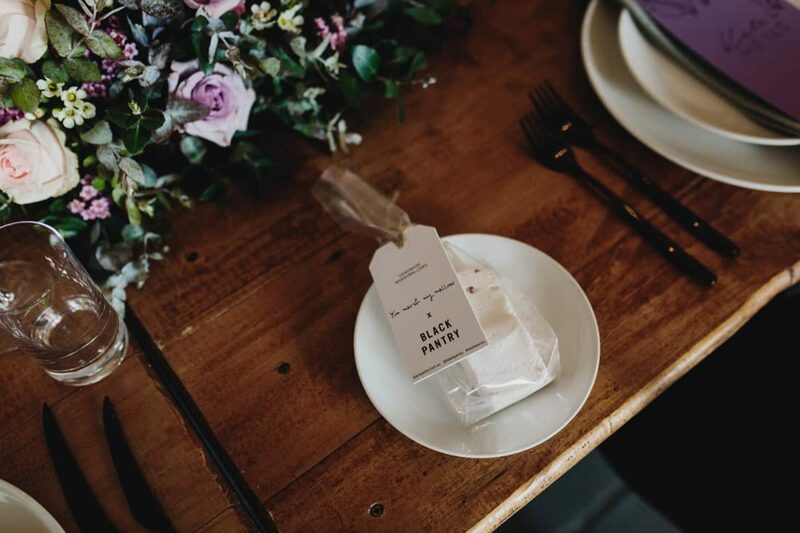 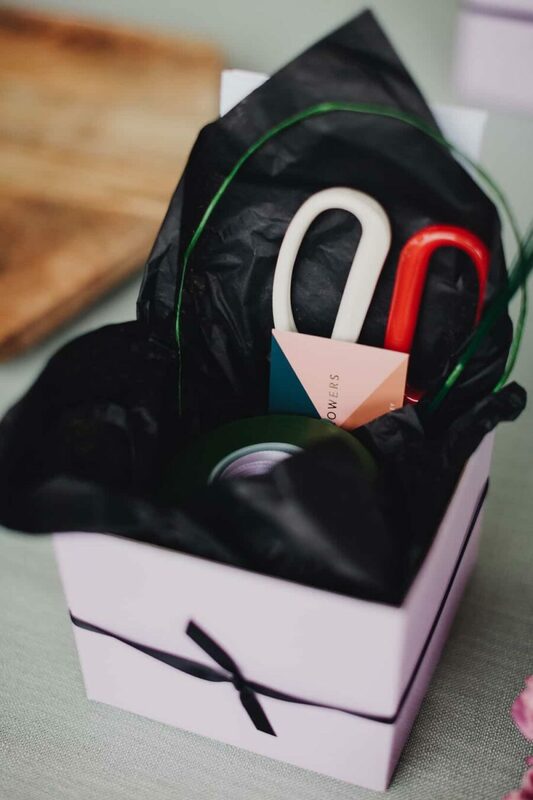 While there was no risk of anyone going home hungry, Black Pantry supplied handmade marshmallows as a sweet little take-home for each guest. 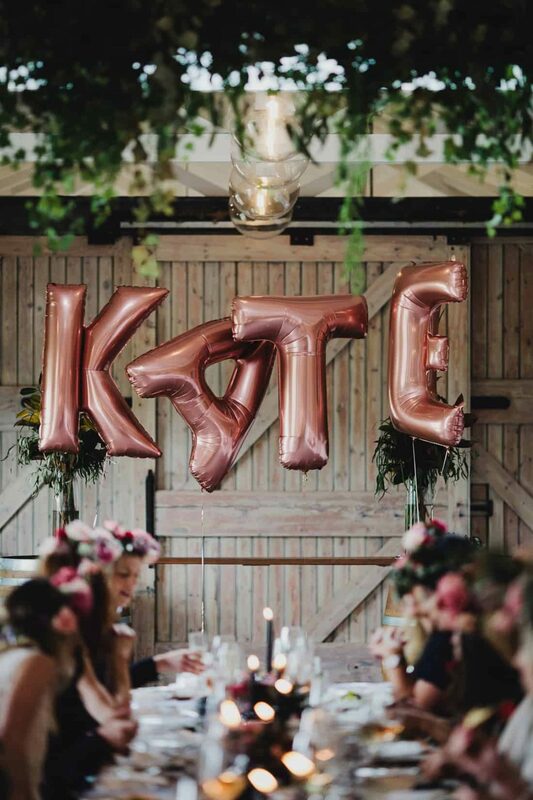 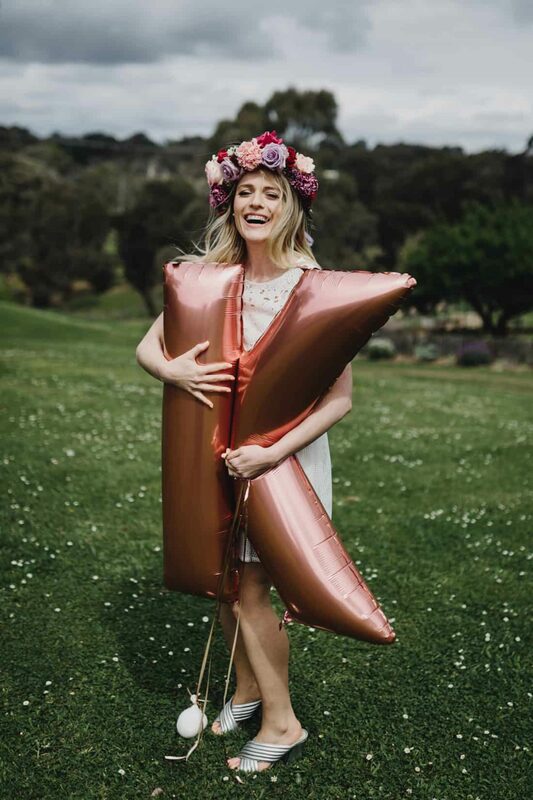 It was all about the hen and Moonshot Balloons made sure of it with giant rose gold letter balloons spelling out her name. 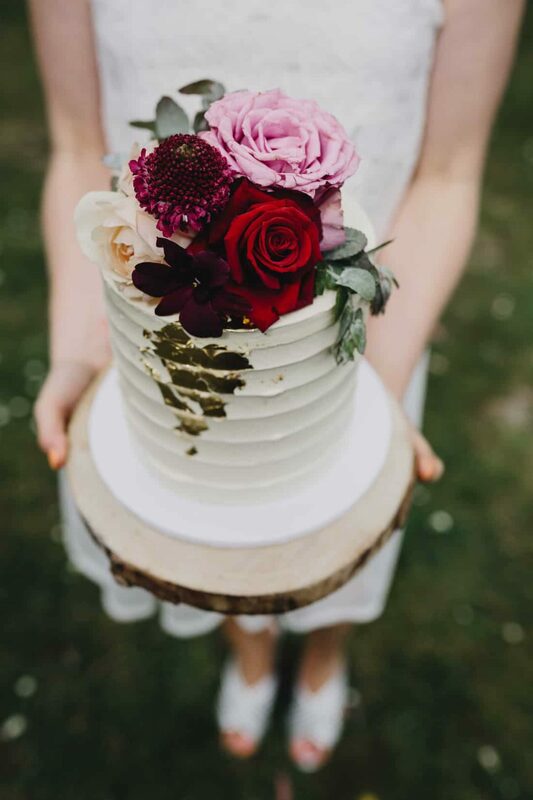 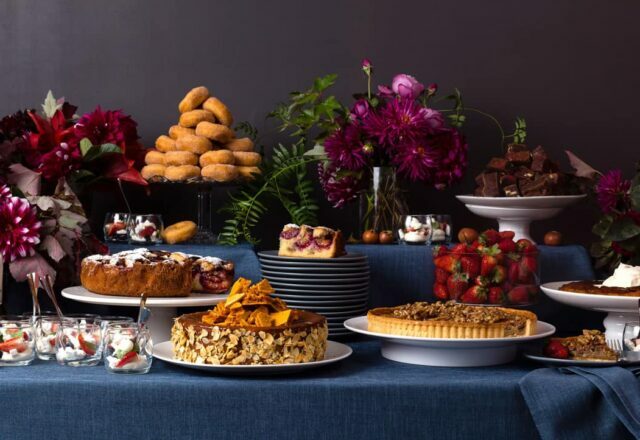 There are few things Kate loves more than cake and Miss Ladybird Cakes brought the goods. 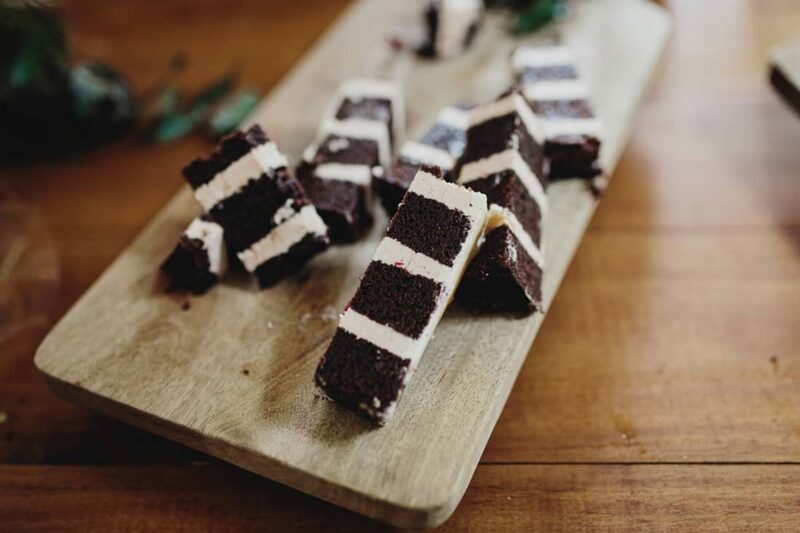 Think champagne & strawberry, chocolate stout, lemon myrtle citrus, toffee & blackcurrant and white chocolate & raspberry with coconut. 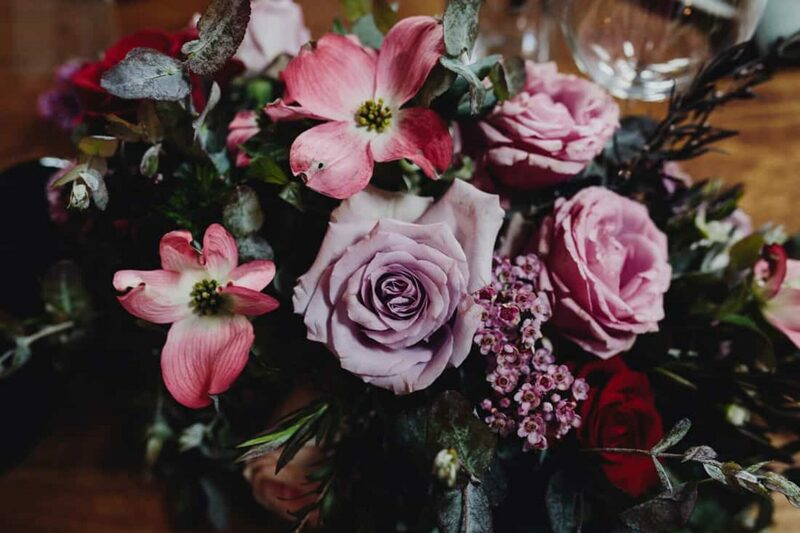 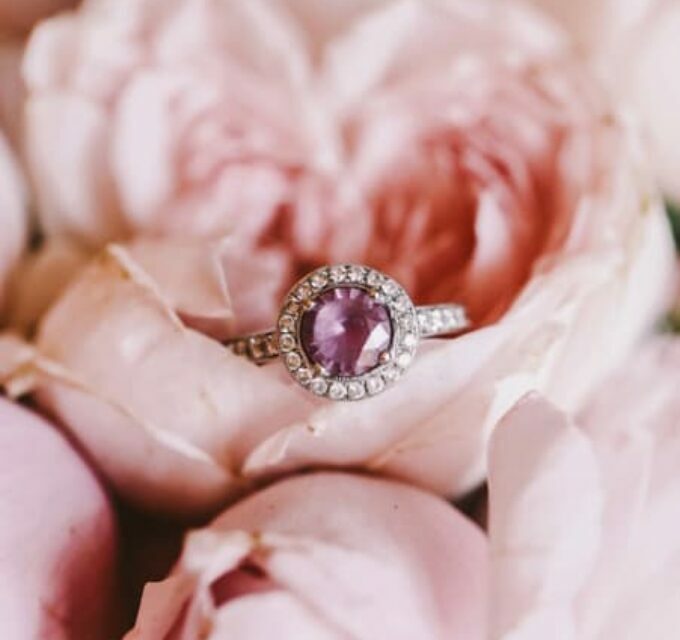 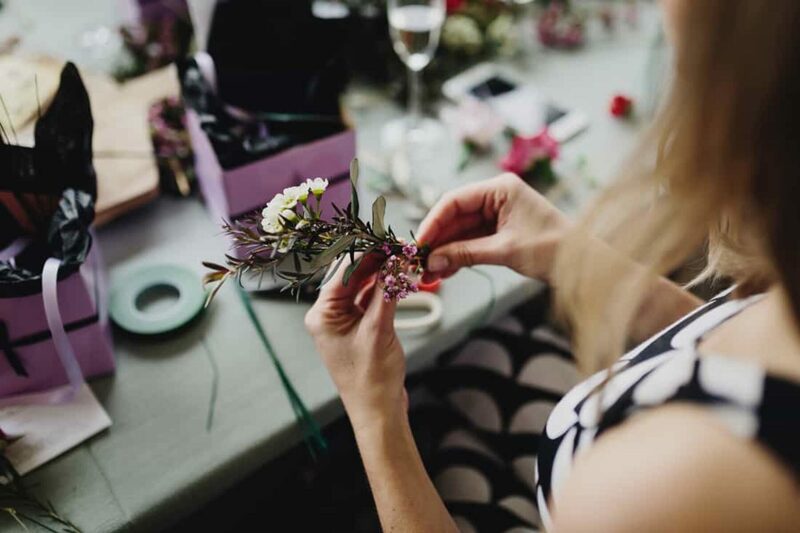 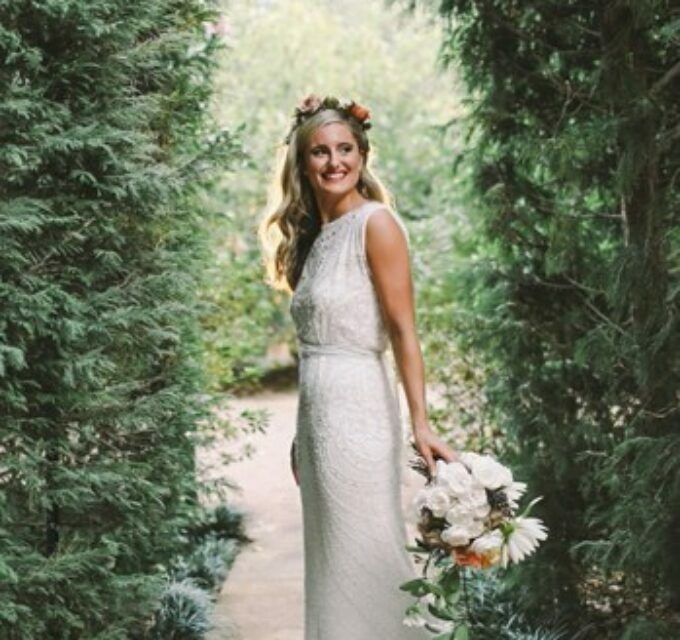 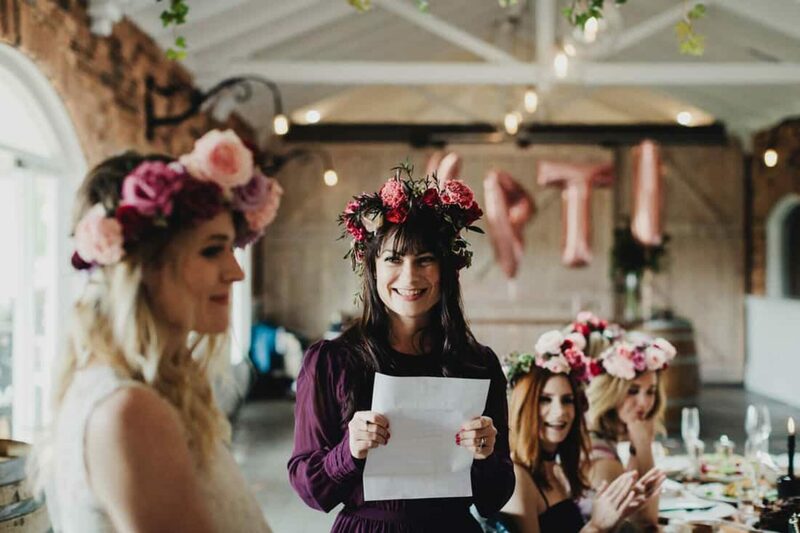 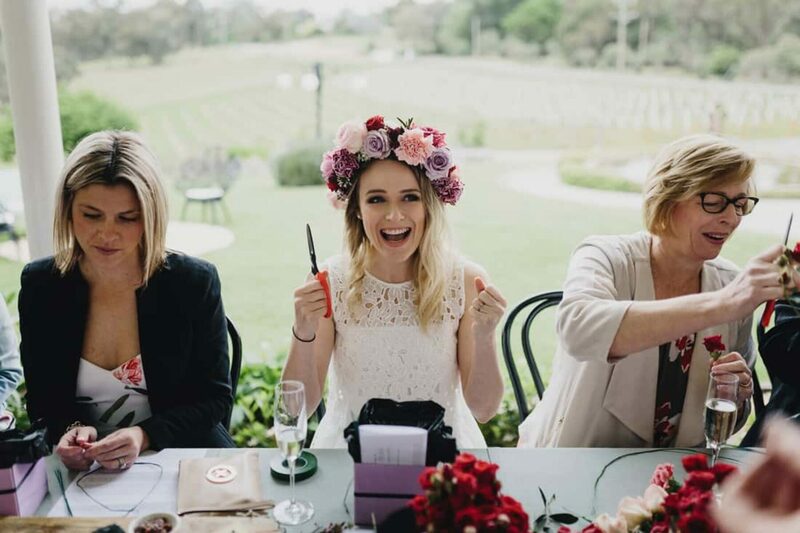 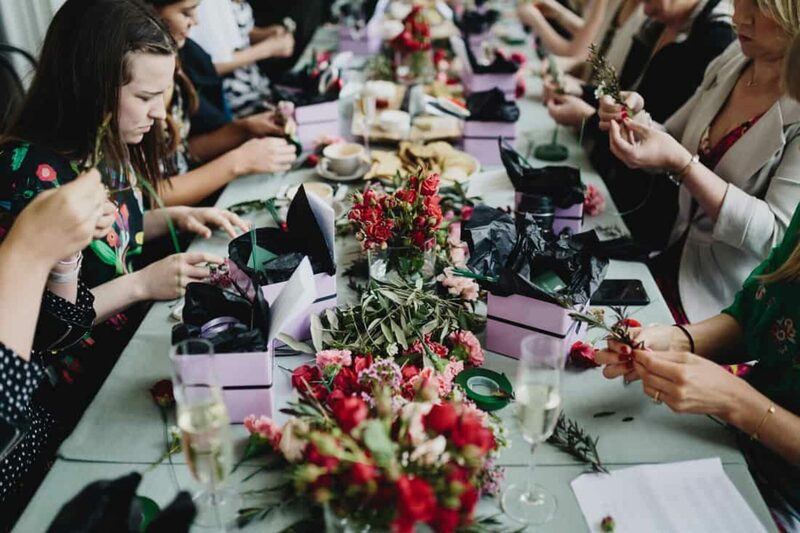 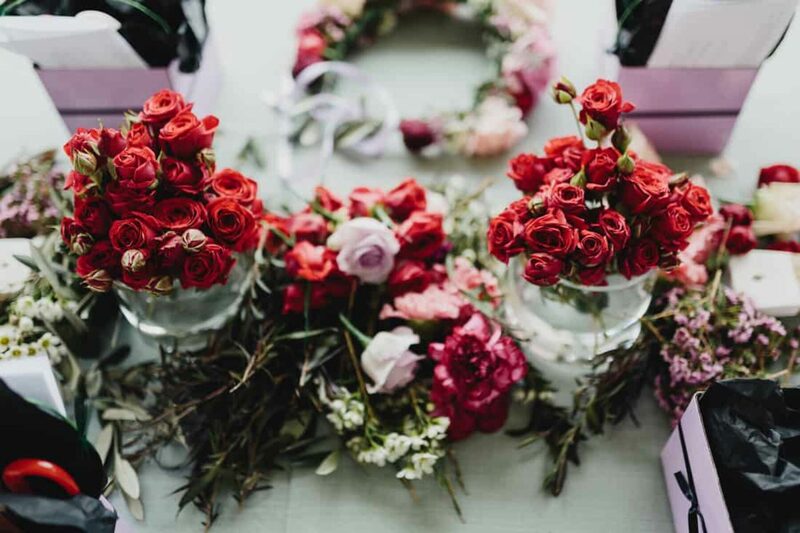 Zoe of I Heart Flowers shared a little know-how and had the girls crafting their own flower crowns to wear for the day. 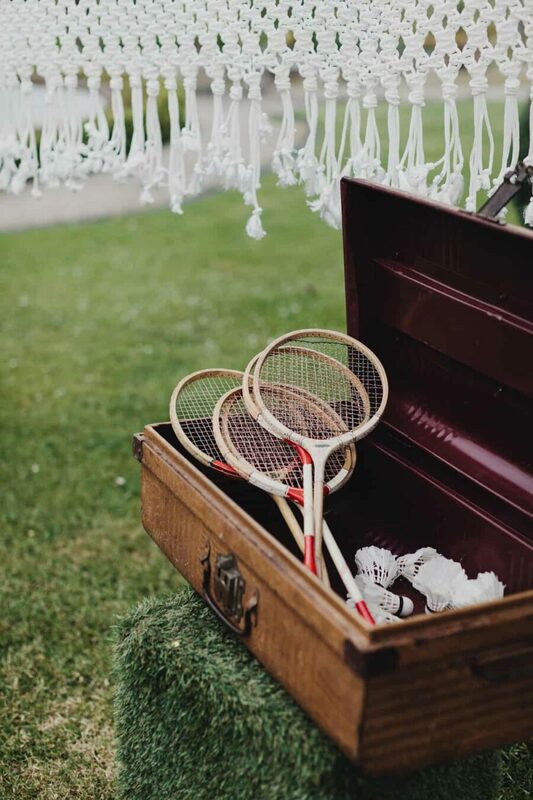 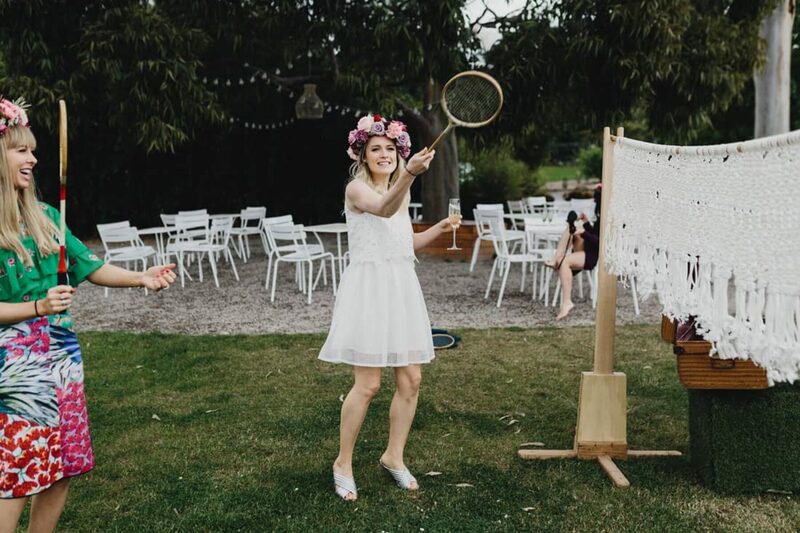 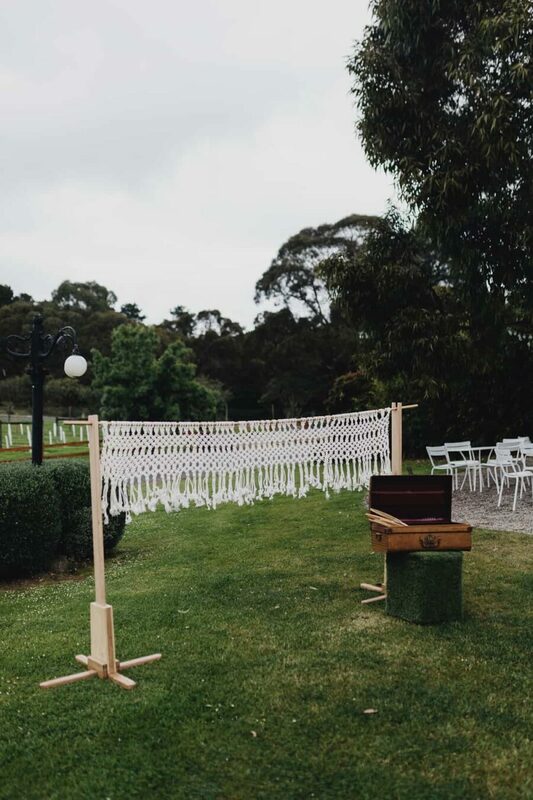 Beautifully handcrafted lawn games by Games on the Green were a hit, especially the macrame badminton net with vintage rackets. 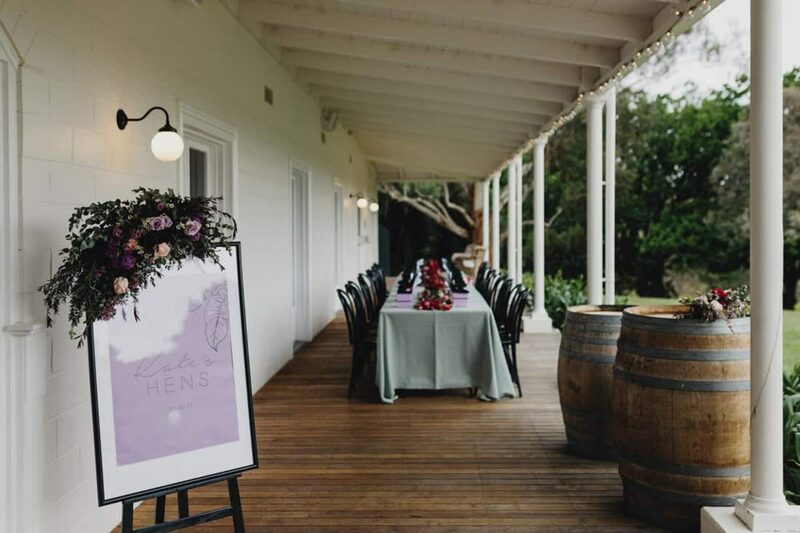 With locally sourced produce and generous share platters, The Farm's stunning food was a highlight of the day. 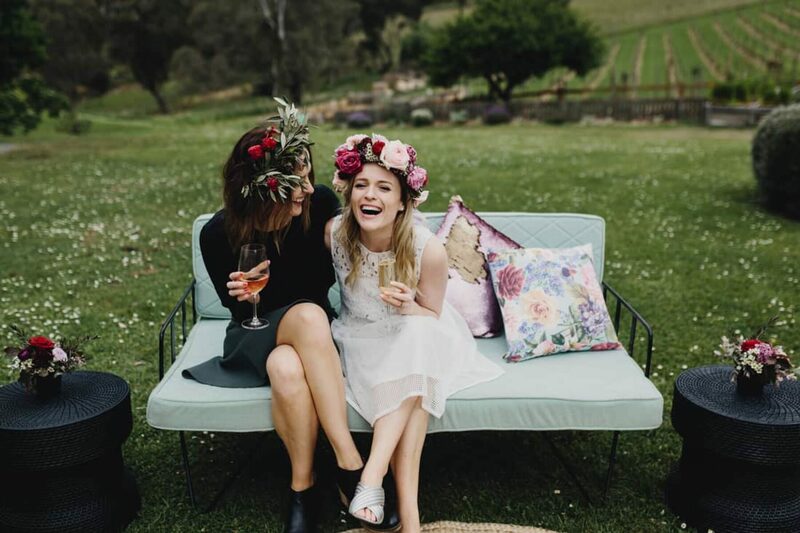 Long Way Home Photography's vibrant, candid style was perfect for capturing all the fun, even when things got a little loose toward the end of the day.